Augmented Reality (AR) is a method of enhancing and improving your view of the real world using different technologies. It allows you to transform your physical environment with computer-generated sensory inputs such as graphics, sound, video or GPS data. Your gadget here becomes a 3D content display of whatever point or location you point it towards in real time. How it works is actually quite simple. 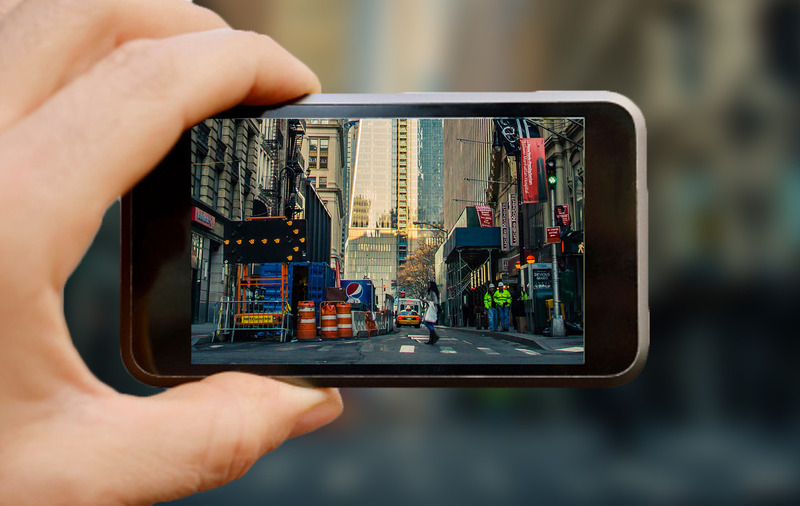 You aim your gadget’s camera at a physical object such as a car, or a building, through an AR application. The AR application then identifies the parts of the physical environment that can be augmented, using computer vision and object recognition technology. The AR application digitally manipulates these objects to provide you with an enhanced, interactive experience. The potential for AR to add context in real-life situations such as fixing a car or buying a dress, or finding your way around, is quite real given the rising penetration of smart mobile devices. Around 2.5 billion AR app downloads are expected by 2017 across many application areas from urban utility to education to banking. 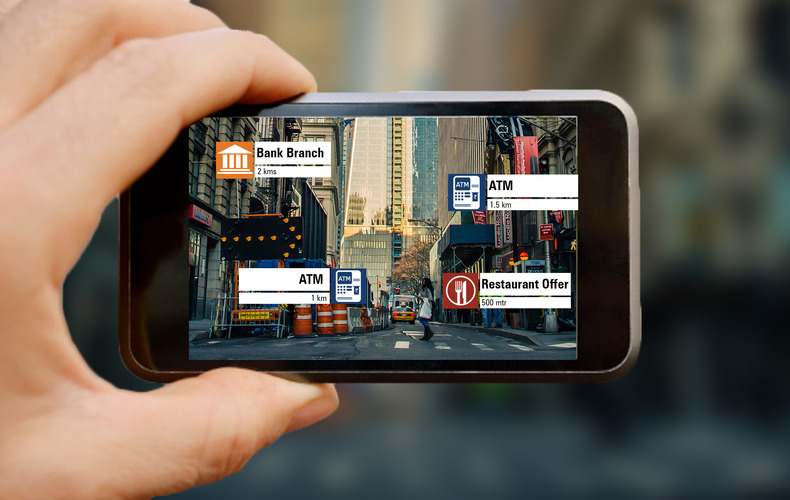 Let’s now dive into how AR can enhance the banking experience. The ways in which it can fully manifest into the banking and finance sector and make things unbelievably easy are many. Financial transactions through mobile devices are on the rise. AR can truly enhance and personalise the customer experience by locating all possible banking channels and making account management extremely simple. 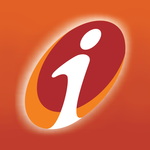 It can also give targeted location based deals and offers to consumers. It can ease the efforts while buying insurance, property searches, making payments, targeted cross-sales opportunities, etc. The bank relationship managers can also use it to find out and analyse consumer feedback of a targeted area. Some of the interesting examples of AR adoption include Commonwealth Bank of Australia and St George Bank Australia who have used it to develop iPhone apps which are used for making property search decisions by giving property listings and detailed information of particular properties when the device is pointed at them. Halifax Bank and Bankinter bank in Spain also have a similar property AR application. Standard Chartered China launched an AR app on the iPhone called ‘Breeze Living’ which provided location based services like discount coupons. Probably the most interesting AR app so far was launched by Westpac bank early this year which makes account management possible on the phone. Westpac customers, with their iOS devices, can check their cards balances, make payments, find the closest bank or ATM branches, etc. The rapid growth and adoption of AR applications shows that it can be used in the financial industry to provide ease of access to accounts and quicker payments. Imagine being able to get your account details, making any financial transaction or any purchases in a jiffy, simply by scanning objects. Scanning your gadget on retail items you wish to buy to know their price, discounts, best deals, etc. Getting a personal banker on your screen by scanning your account number. Some of these activities are already happening via AR and the future possibilities are endless. As we mentioned earlier, the increasing penetration of smartphones, especially in developing markets like India, will only boost the adoption and availability of AR further. How creatively and optimally it is implemented into the systems is something we have to wait and watch.